So lately the weather has been coming up in conversation, and it dawned on me how many terms are, well, confusing! A cold front, high pressure, low pressure, micro-burst!? That's a lot to keep track of, especially for the little ones. Talking about the weather is a common conversation - maybe you're orienting someone, maybe you're on a date that's going south and you need to fill the dead air! Either way, weather has a presence. 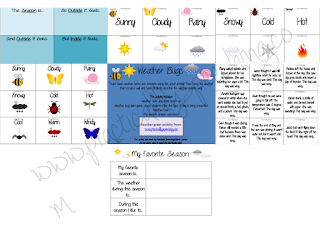 That's why I created this activity pack to teach the little guys about weather terms! This is an introduction, so nothing too major or intricate. 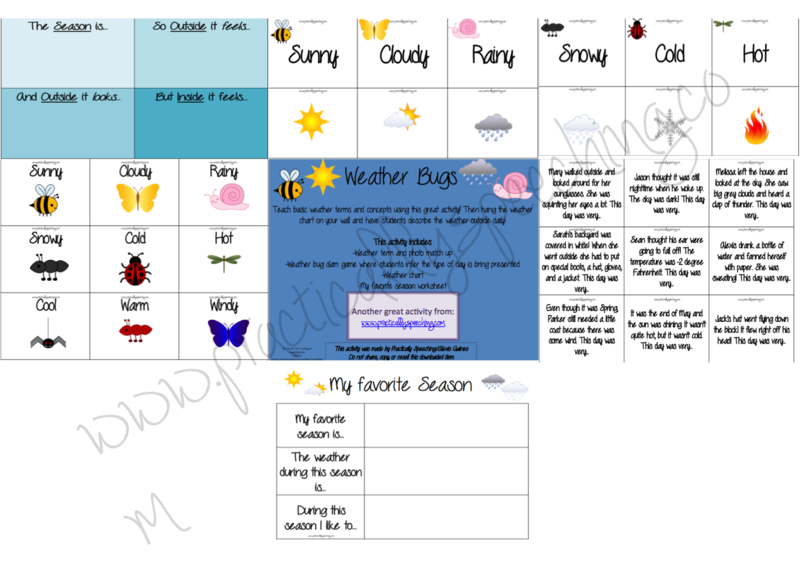 When you're using it, or when you're finished, you can hang the weather chart on your wall and go over everything daily!